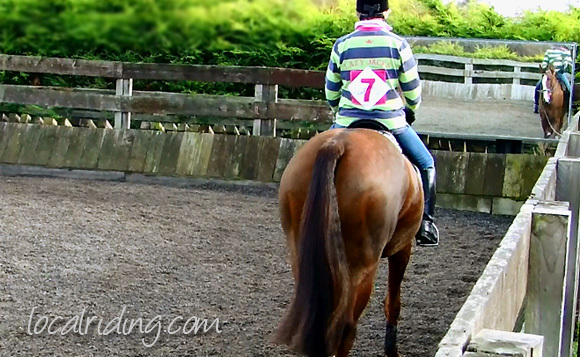 Practising for your next horse show? Here are some tips that should help you enjoy a little success. They say that practice makes perfect, and that is most definitely true when it comes to competing in horse shows and equestrian events. From the moment you and your horse walk into a competitive riding arena, you will be under the watchful eye of the judge, and you will be judged on a number of different criteria. It makes sense then to practice the movements you will be judged on or the specific height you will be jumping, in the security and comfort of your home arena. This is the easiest and best way to prepare for the pressure of equestrian competition. Horse show practice is a lot easier if you have the most modern setup. But there are things you can do to compensate if you do not have all those things at your disposal. For instance, many of the top riding academies replace one wall of their indoor arenas with a full length mirror. This setup makes it easy for students to check their positions and make adjustments, even when the instructor is not watching. Chances are you don’t have that type of setup at home, but you can substitute a trusted friend or fellow rider for that mirror. Having someone on the ground who can evaluate and critique your position is one of the best ways to learn. 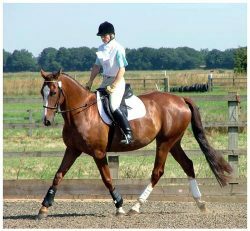 It can take time to develop a feel for when you are out of balance with your horse and the occassional pointer will help a lot. Or a video camera can serve the same purpose for those times when you need to ride alone. The price of small security cameras has really come down, and this can be a cost effective way of allowing you to set up a system of cameras around the arena. Better still if you can setup a webcam and upload a video to your Google Drive or Dropbox account to watch whenever you want and wherever you are. Failing that, you can always set up a small tripod and a single camera to check your riding and evaluate each session after it is over. 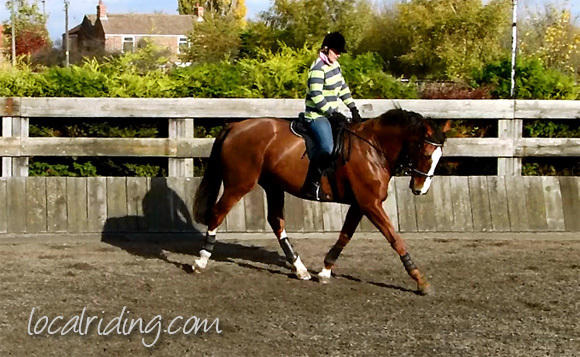 There are also a number of exercises you can do to improve your riding and build stronger muscles to use for riding. Riding without stirrups can help you develop the balance you need for all equestrian disciplines. It is also a good idea to practice mounting and dismounting, particularly if you plan to compete in events like equitation and trail. Many trail patterns include obstacles that require the rider to dismount and then remount their horses, and some judges use mounts and dismounts in equitation classes too. Learning to mount and dismount properly is also a vital part of proper horsemanship, and doing it safely is essential. If possible, have a friend or instructor stand nearby to ensure you are using the proper movements and techniques for getting into the saddle. Over time, you should develop the muscle memory needed to make mounting and dismounting second nature. There will be plenty of distractions on horse show day, for both you and your horse. When you enter the arena for the first time, you will need to learn how to tune out everything else and focus on the task at hand. Learning to tune out those distractions is one of the best ways to prepare for your first show. Doing some simple things like setting up a few lawn chairs and the odd traffic cone, outside your regular riding area is a good way to desensitize your horse to the unknown, and playing a radio while riding is a great way to desensitize yourself to the outside distractions and noise at horse shows. Above all, you should make sure your preparation and practice for horse shows is fun for both you and your horse. Showing a horse is all about fun, at least at a local level, and your horse show practice should reflect this enjoyable part of the sport.